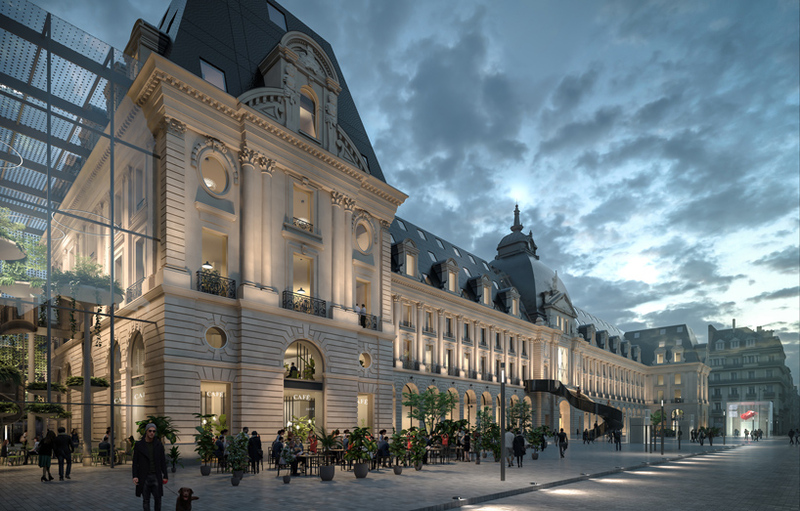 MVRDV presents its winning entry in a competition to renovate and extend the historic palais du commerce in rennes. 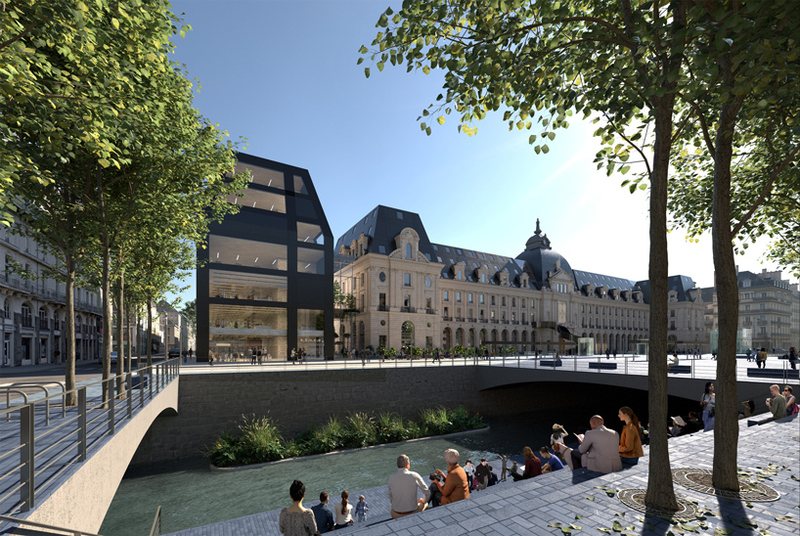 designed together with paris-based architect bernard desmoulin for developers frey and engie avenue, the redevelopment of the notable rennes landmark will signify a renaissance for both the building and its surroundings. 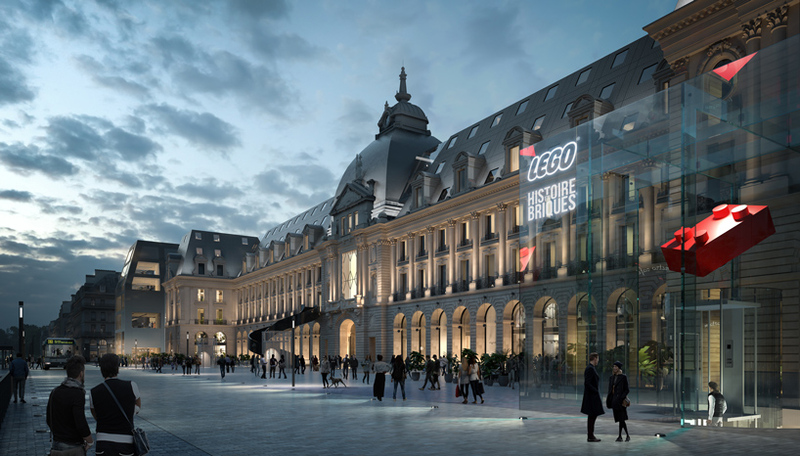 MVRDV’s proposal will reactivate the place de la république and turn this former public building into a centerpiece of the city’s main commercial street, raising it to the level of significance that was initially intended. 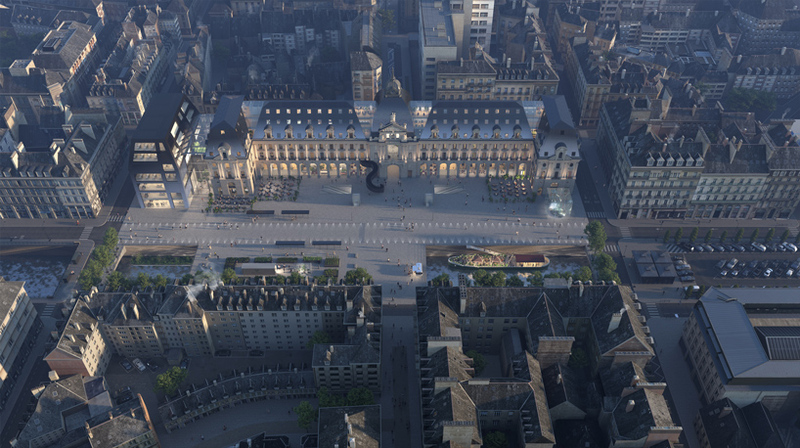 construction of the project will begin in 2022, with completion expected for 2025. 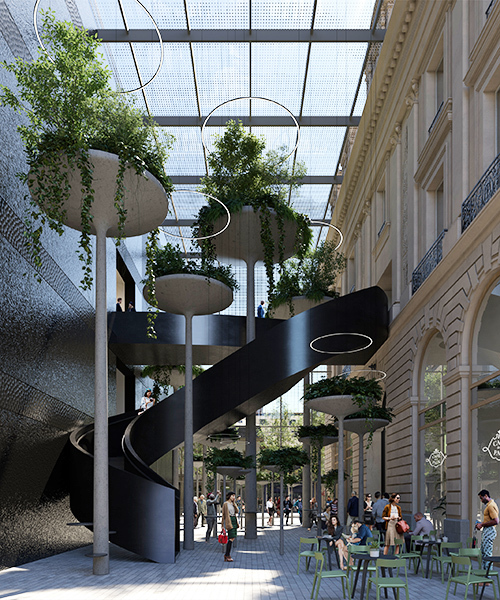 MVRDV and desmoulin design the scheme to favor pedestrians at the urban scale, transforming the place de la république into a welcoming public square. 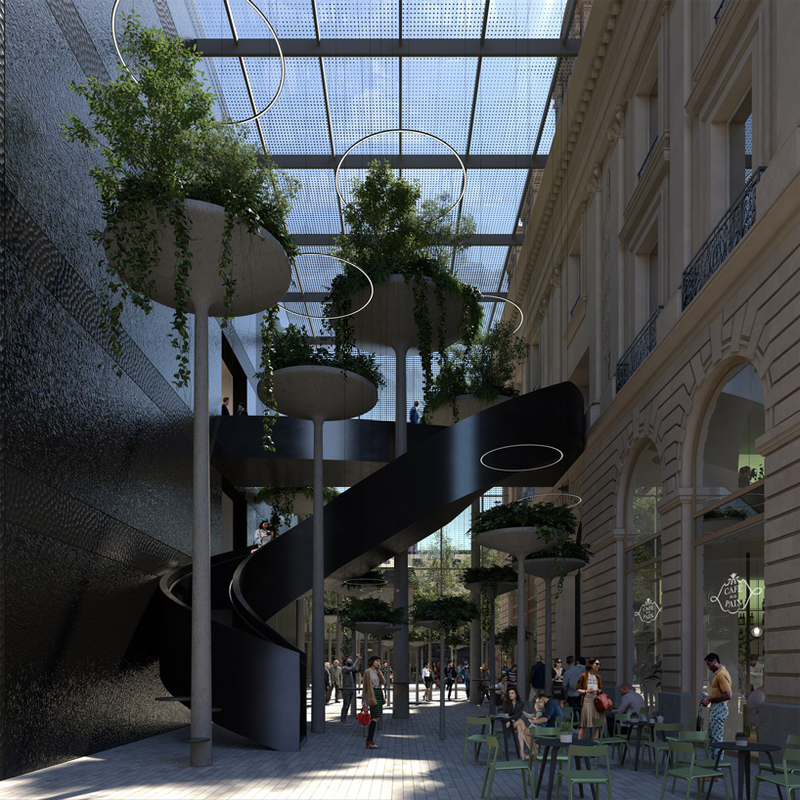 the project will further convert the rue du pré botté into a landscaped pedestrian area animated by terraces. while the design is respectful of the existing heritage building, a critical approach is taken to its drawbacks. 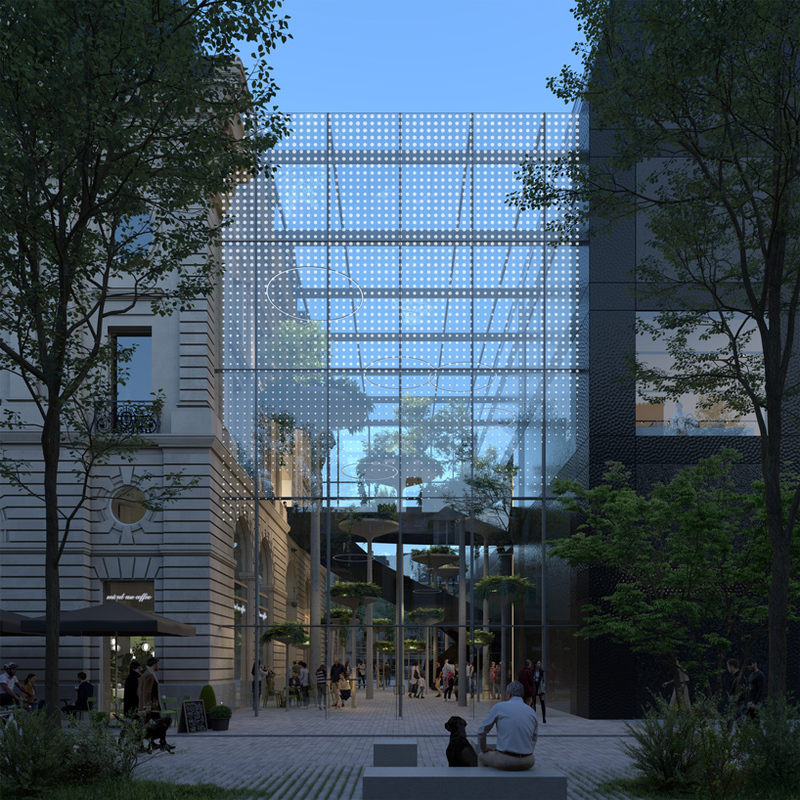 the team worked to increase the building’s transparency — windows are to be replaced with large areas of glazing, greatly improving visibility. 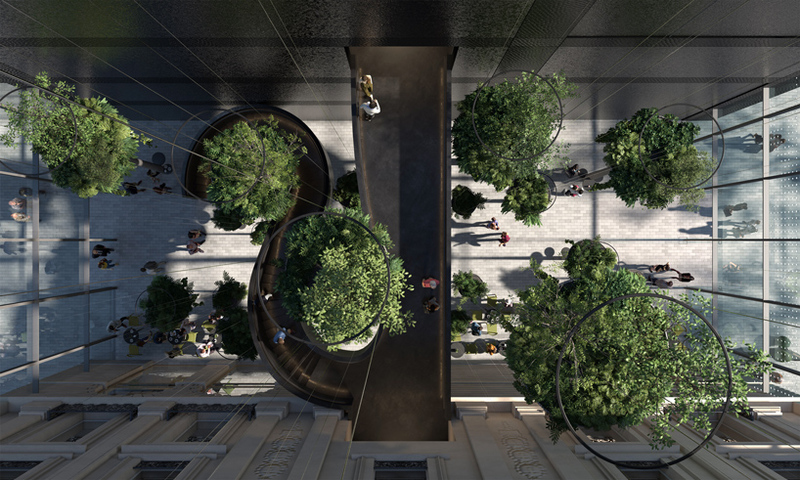 on the ground floor, glass storefronts will be added in the arches of the arcade, offering more space for commercial units while preserving the image of the arcade. the most distinctive exterior modification is the addition of a winding, sculptural stair, centrally oriented with the façade. this element references the history of the original building which did not have the grand foyer space typically found in such heritage structures. this addition further serves a functional role in the new layout. 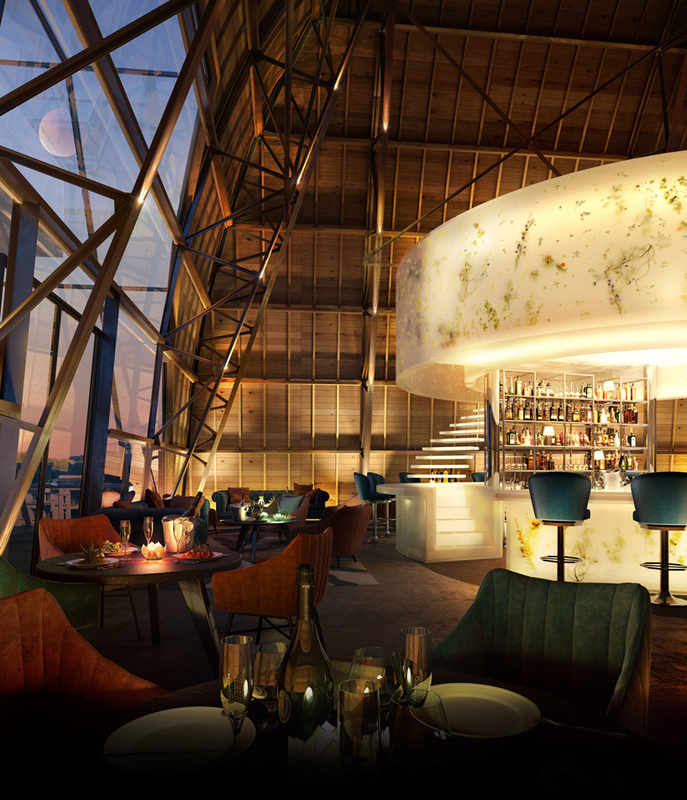 on the second floor, a welcoming reception area introduces a pathway through the upper levels. toward the eastern end, the extension comprises a wood construction, imitating the original building while adopting a contemporary expression.